Read all heater instructions before installing. Make sure the waterbed heater is not placed over a seam in the plywood deck. This can cause the waterbed heater to burn out. If it has a bulb and capillary sensor make sure that it is at least 10 inches from the heating pad or it will short cycle and not heat the water mattress properly. Install the waterbed safety liner. Make sure the wrinkles are smoothed out of the safety liner particularly over the waterbed heater. Pull all four corners equally into each corner of the frame. Place the water mattress inside the waterbed safety liner. Remove the pull cap and insert plug to release any vacuum the water mattress may have. A baffled mattress is almost always vacuum packed and sealed. If you notice that there is no vacuum it is very possible that either the cap and plug are loose or the mattress could have a whole in it allowing air to reenter the mattress and swell. Position the waterbed mattress with the fill valve on the topside of the mattress and at the foot end of the bed. Next position the water mattress so each corner of the watermattress lines up with the bottom corner of the waterbed frame. The bottom corners of each should of each be as close to alignment as possible. Attach the mattress adapter by utilizing the parts contained in a drain and fill kit. Attach the Faucet adapter to the garden hose. Then attach the garden hose to the mattress adapter. Insert the mattress adapter into mattress and tighten mattress adapter collar ring. If possible you can regulate your water temperature with a 50 /50 mixture of hot and cold water. Never fill watermattress with hot water only, it can damage your mattress. Start filling the waterbed mattress, when you have ½ to 1 inch of water inside of the mattress do a final positioning of the water bladder. If possible with a person located on each side of the waterbed, locate the bottom mattress corner and pull them toward their respective corners and away from each other for a nice stretch. Then repeat length wise and diagonally. This will pull out major wrinkles on the bottom and allow mattresses to fit into corners properly. Finish filling the mattress making sure not to overfill or under fill the waterbed mattress. Proper fill is no more than the top of the safety liner on a hardside waterbed and just below the top of the foam rails on a softside. 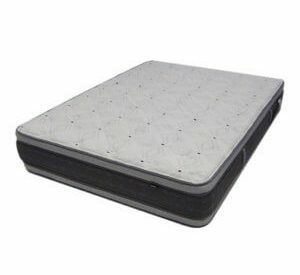 Most mattresses are full cut or they are pre stretched to increase mattress life so there may be wrinkles when filled. 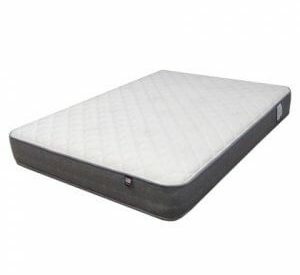 Waterbed mattress manufacturers recommend putting the recommended dosage of waterbed conditioner into the waterbed bladder at the beginning of the fill process. Burp your waterbed as needed. Air in a water mattress is to waterbeds, what turning & flipping is to an innerspring mattress. Carefully remove the plug and gently force the air bubbles out by herding the air pockets toward the mattress valve then replace the plug. Repeat until all air has been removed. It is not uncommon for air pockets to develop for years after filling. Yes, you want to be sure that you have thoroughly read the waterbed mattress installation instructions located on the valve of the mattress for specific information. 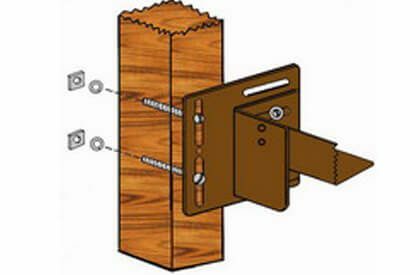 Problems from neglecting this step could lead to bed damage or personal injury. So did we miss any helpful hints that you would like to add? Please comment below. I recommend a yarstick to coral and bring the air pockets to the fill valve. I like to simply roll on the mattress, herding the air bubbles myself. 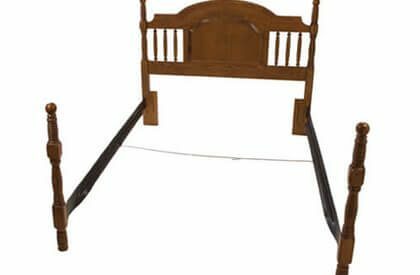 Many people opt to use their padded rails to burp their waterbeds in the same fashion you use the yard stick because it reaches all the way across the mattress. Thanks for you comment. Great detailed instructions. It is especially important to find those installation instructions. Interesting article. Especially important to know where those instructions are. We have done a couple blogs on the tube waterbeds hopefully they can give you some additional help. How to Fill the Somma and Starline Tube / Cylinder Softside Waterbeds This is one of the best. Hope it helps. Do not hesitate to contact us with further questions about putting this bed together. Remember to have a level and check as you go to remain level. I had to get my car jack out to lift up my bed and put 2X4’s under one end because my house slants! It would have been easier to adjust if I had known that tip at the start. I have a softside waterbed and it seems like there is more water at the feet than at the head. It is a 90% waveless mattress with lumbar support. The bed frame and foundation were level, but it just seems like there is a noticeable difference.